I don’t know whether you would term this a city or a town – probably a town. Either way, I found this map and wanted to share it. Had I more artistic ability (and I might go to the trouble of investing time into learning) the city maps in NOD would look like this – much more evocative than simple line maps. The image was found at the Apollonia-Arsuf Archaeological Project from Tel Aviv University. It’s a reconstruction of a crusader city, and you can find more descriptive text at the link. So, enjoy the map – Deviant Friday will follow in a few hours. I've always liked bird's-eye style maps. Depends on the era, but my guess would actually be a city — well in Medieval terms not in D&D terms. Outside of Kievan Russia and the Northern Italian states, cities in Europe were tiny. 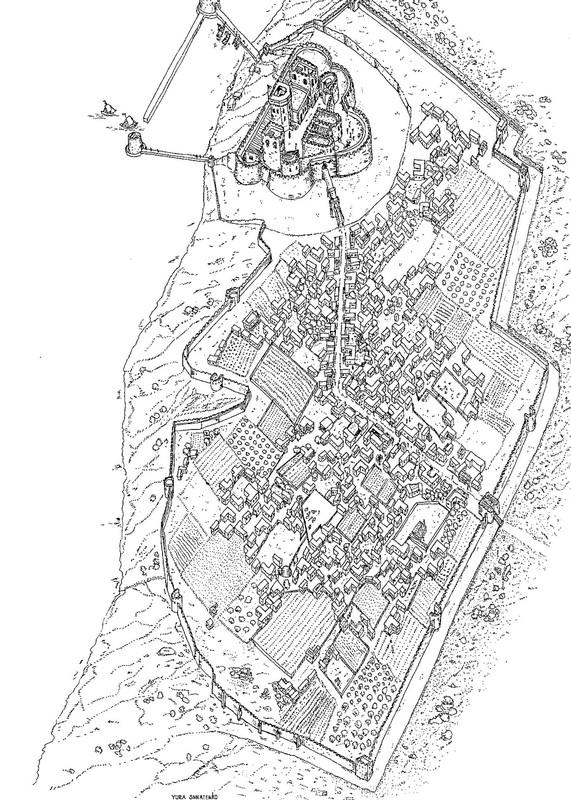 Now in D&D, that's totally a town. We are not bound by Medieval history (says the Medievalist). Ooh, that looks nice. Thank you. Nice – thanks for sharing. This image and the bird's eye one in MacCaulay's Castle book might make some good custom brushes in the GIMP or PS.